Hiya all. Just a little update on what’s been going on here. On the work front, Wednesday the sweetie finds out exactly what his severance package will be. We’re hoping the scuttlebutt was correct and they improved it, specially since they didn’t have to do it for everyone. It wasn’t bad before either, but every little bit more is a huge help. Packing has slowed down for several reasons, not least of which is that its hard to keep packing when you don’t have anywhere to put the boxes. Small house. Lots of stuff. LOL. Still trying to get rid of some of it and that will pick up again once we have room to go through things again. Still making decisions regarding what furniture we’re taking, but I think most of it will not go with us. A few items, but most we’ll probably take to the auction and get whatever we can for them. Most of it came from yard sales and flea markets and I redid, so whatever we get it won’t be a loss. hehe. Finally, I’ve been doing some sewing and crafting again. I actually have an FO. 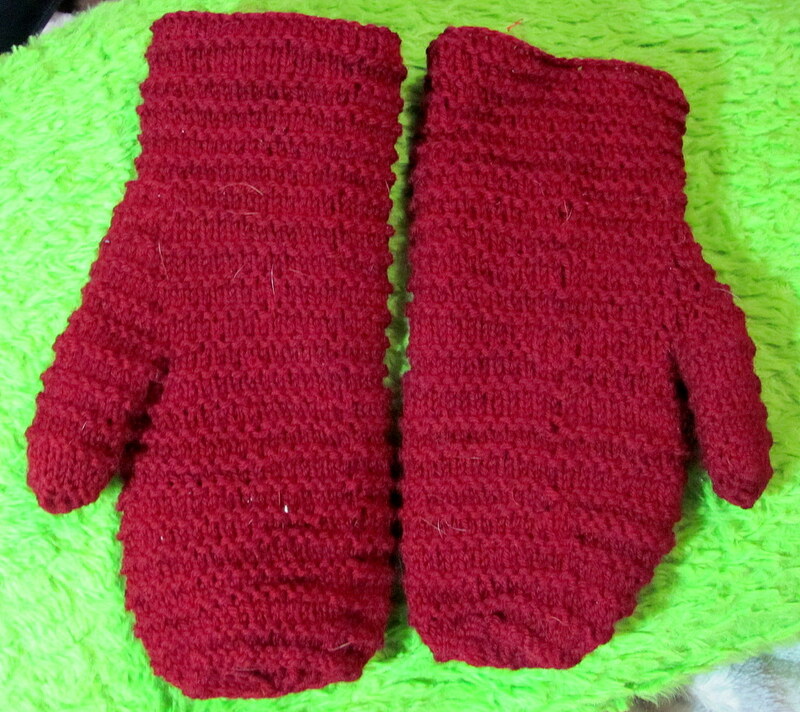 I started these mittens last winter and never got them finished. the pictures (sorry my capital t doesn’t work. I spilled stew on my keyboard) didn’t come out all that well, but I just love the mittens. Picture 2 is closest to the right color. the outside is 100% peruvian wool in a deep burgundy and the inside is 100% baby alpaca in a pumpkin color. 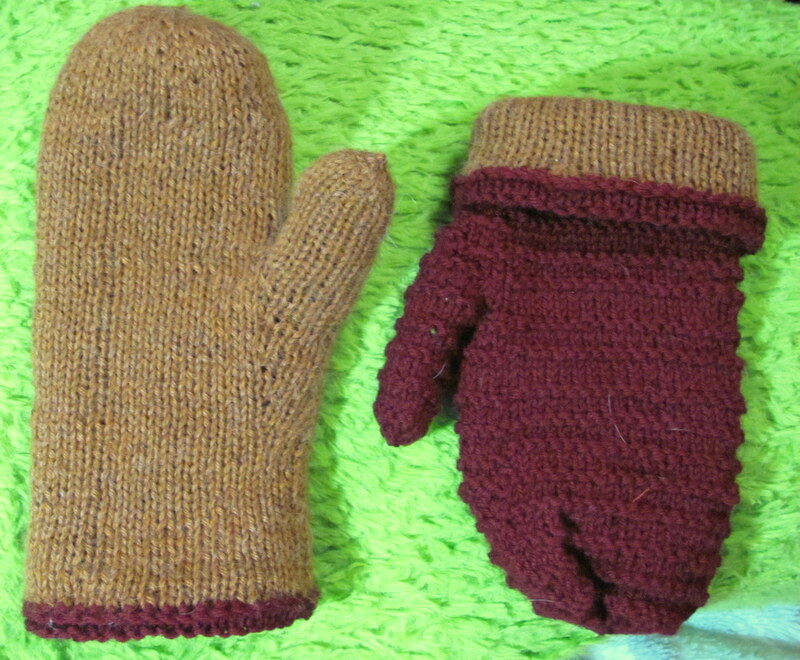 Both came from Knit Picks. You basically knit 4 mittens then tuck the pumpkin one inside the outer shell. It’s pretty clever really and they are soooo soft and warm. 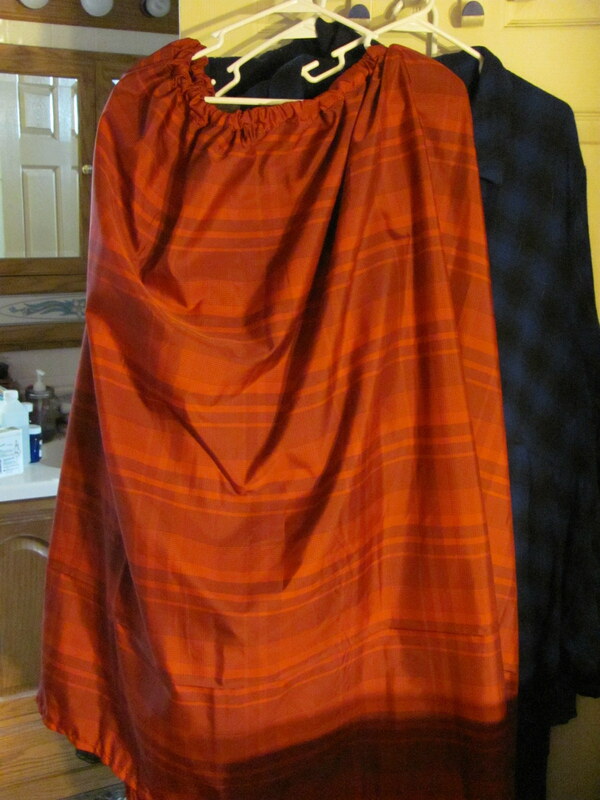 I now have another skirt. I made this one for the Christmas season. 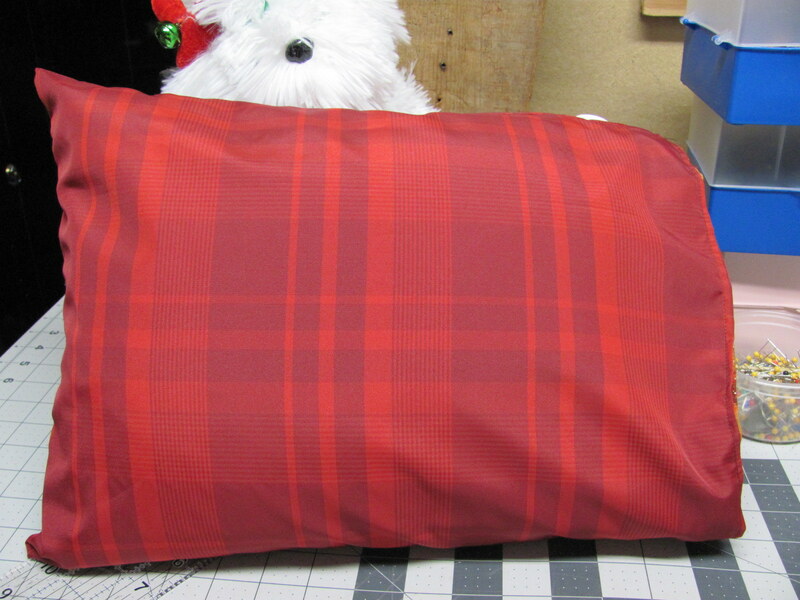 I found this material and it was so pretty, yet because its a plaid look, I don’t have to wear it just at the holidays. It will all depend on the shirt I pair it with. Sweetie and I went to a favorite restaurant for thanksgiving since its just the two of us and I wore this with a black shirt and the blingy necklace and my tiara that he got me a couple weeks ago. I was a hit and got SO many compliments on how pretty they looked. <beams> Again this picture is a bit color wonky so I will post a small pillow I made with a piece of it for my scooter, also. In that one, the color is more accurate. 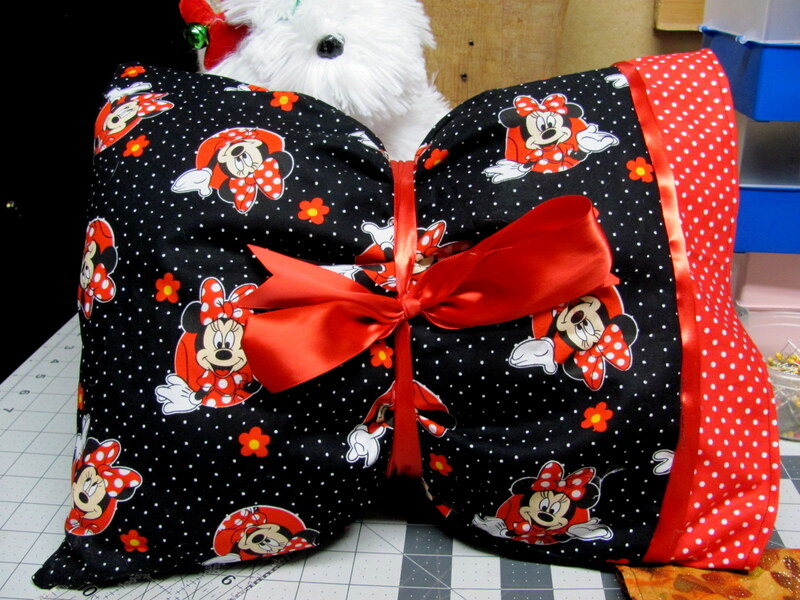 I have pretty gold sparkly ribbon that will make a bow around it like I did in the next two pictures. this cover is actually reversible and on the other side is the fall version. third is my Minnie Mouse pillow. If you’re wondering what these are for, they are for my scooter. When we go to the movies I have to use my scooter since they put in all new seats and they’re so bad on my back I can’t even sit through a movie without being just about in tears and useless for the rest of the day. 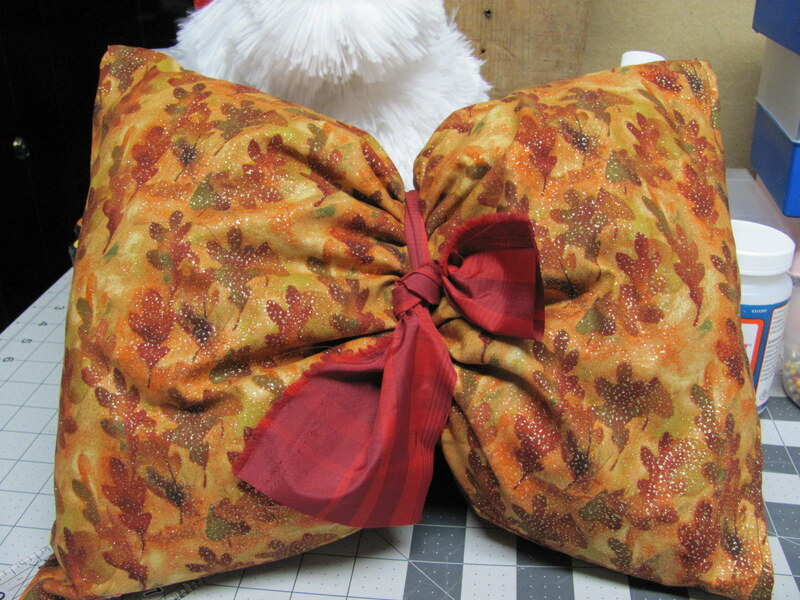 So I made these little pillows to put behind my neck so its a little easier on my neck. I also made bags for my basket that are reversible and made with the same materials. My scooter is red and black, btw. Now I might have another post. I turned off the FB setting for this one, so if that works I’ll post another item I made. It’s a Christmas pressie and I know the person sees my FB although I don’t think she keeps up with my blog. I hope! LOL. I really want to show it to you all. I’m actually really happy with it. We’ll see how this posts. The content of this blog and all associated pages is owned solely by Jean Polixa.